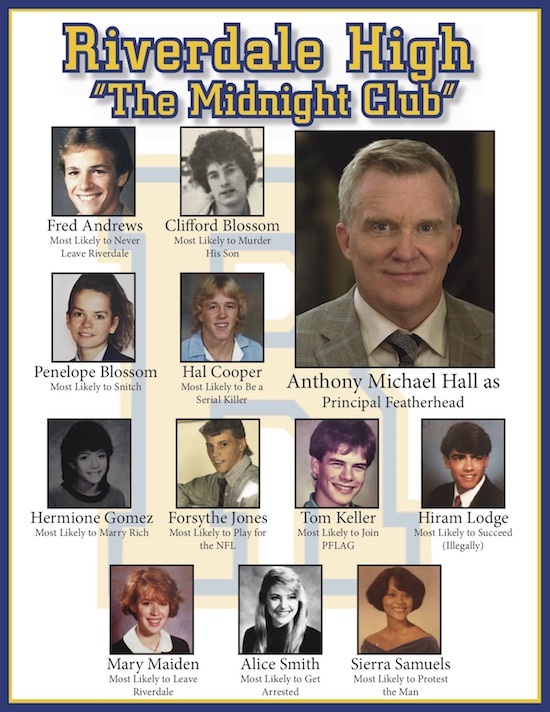 Anthony Michael Hall will guest star in the BREAKFAST CLUB-inspired episode of RIVERDALE, “The Midnight Club.” The hour is currently scheduled to air on Wednesday, November 7. In the episode, the show flashes back to when the parents were in high school…and the younger cast will portray their on-screen parents in the past. Additionally, Mark Consuelos’ real-life son, Michael, portrays a young Hiram in the hour. Check out the fun page! RIVERDALE: Watch Two Numbers From the Musical Episode!